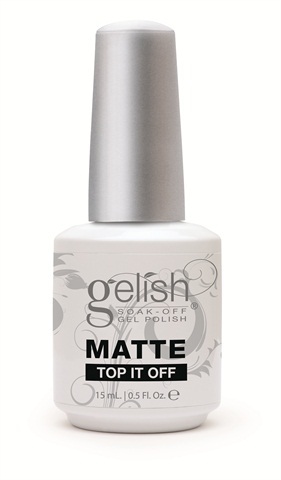 Complete any gel-polish manicure with Gelish Matte Top It Off to create a plus, matte-satin manicure for an individualized look. It combines top coat properties that seal and protect the nails from chipping and peeling, and cures in 30 seconds in the Gelish 18G LED light or for two minutes in a UV light. For more information, visit Gelish .